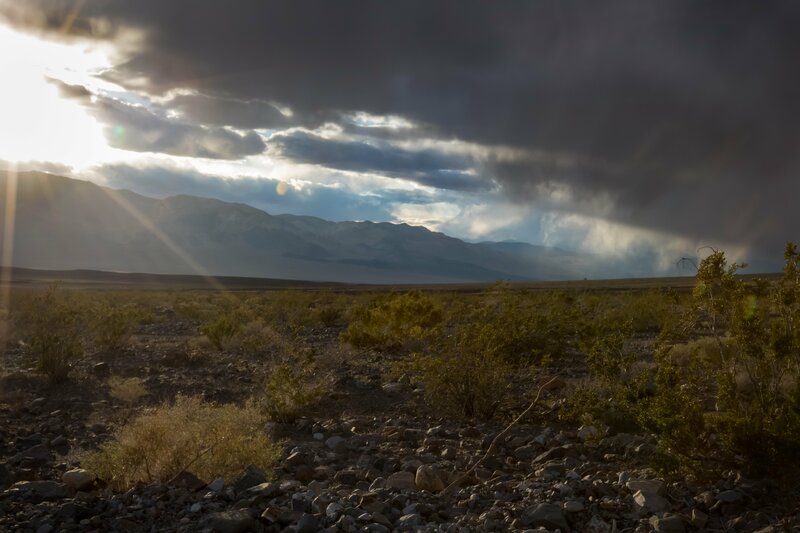 Late afternoon, and a storm is finally gathering at the north end of Panamint Valley. 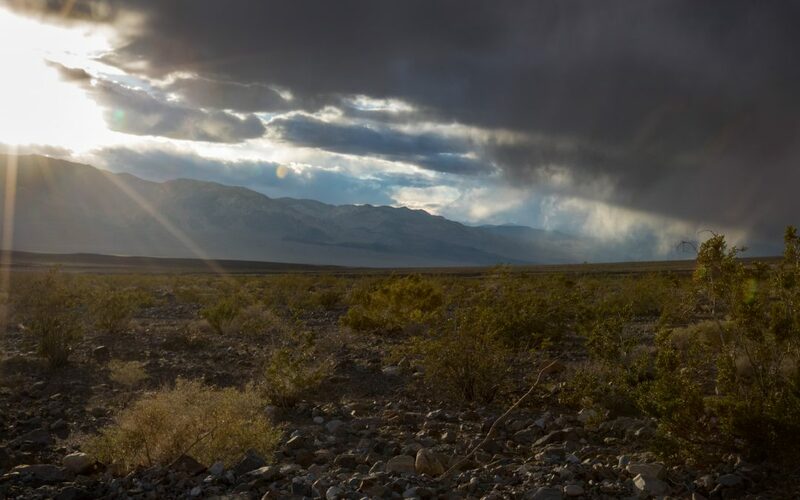 The light is absolutely magical, with the unspeakable longing of the parched sands for moisture. The sun is setting, shining through streaks of rain that may, or may not, ever reach the ground.